I keep uploading videos but still can’t find the time to index them in my galleries or add the updates here. I reckon this will be another winter project that doesn’t get completed!. Today I had a few hours at Kingsbury Water Park, not many trains running but the videos look reasonable. The first will be uploaded soon. This entry was posted in Sharpo's World video updates on July 29, 2014 by Sharpo. However hard I try, I cannot keep up with editing and uploading all the new videos. This means I also get behind with the updates to this blog. 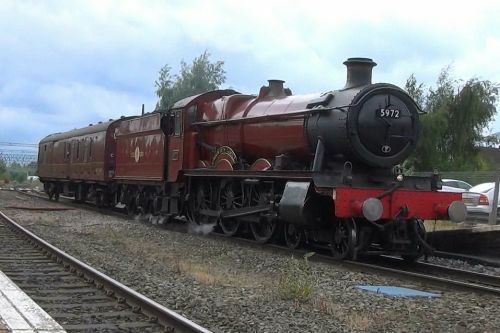 Monday’s videos included a pair of 56s at Small Heath. A few of the videos from Stafford last week have been uploaded and from today at Tamworth 2 of the Class 66 videos have just been uploaded. With all the jobs in the garden to do, my “winter project” is growing, day by day. This entry was posted in Sharpo's World video updates on July 17, 2014 by Sharpo. Not an easy train for me to see, as it often starts early and beats me to the station. This time it was 28 minutes early, so I was lucky to see it. A stopping train was due at the same time, so I had little choice where to film it from. This entry was posted in Sharpo's World video updates on July 5, 2014 by Sharpo. I thought it was worth a ride over to Walsall to film 5972 on the way to Tyseley for the Open Weekend, as it is a loco I rarely see. It was booked to stop at Walsall, but ran straight through. Bedding plants, grass cutting, trimming the hedge – it all takes time. I keep adding videos but run out of time linking to them from here. Maybe one of my winter projects, hang on – those projects never get finished…. This entry was posted in Sharpo's World video updates on July 3, 2014 by Sharpo.